Come May 11th, our trusty mail deliverers will be charging 44 cents per piece for trudging through snow, sleet, wind and fire to get our mail to us. Let me know if I can help out with some 2 cents stamps and I’ll mail them over to you before May 11th! Wednesday is Santa Barbara’s Earth Day so do something wonderful for yourself; buy a composter, plant a tree, ride your bike to work and have fun! 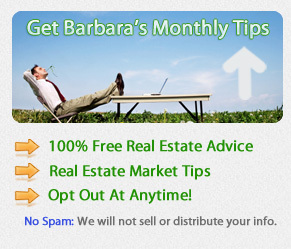 The number of current residential listings in Santa Barbara is at 998, and those in escrow are 38. Montecito has 236 current residential listings and 2 in escrow. Lots of activity in the low end right now, that being $1,200,000 and below. Especially in the $499,000 to $900,000. Those are getting multiple offers.